The average wedding requires one year and over 100 hours to plan. When you don't have that kind of time or simply don't know where to start, we can help. As your planner, Kismet can give you peace of mind, access to best value pricing no matter the size of your big day or the time frame we are working with, our goal is simple .... to help you create your unforgettable dream wedding. Our Platinum Full Service Event & Design Planning Package is the perfect selection for the couple who wants a full-time professional overseeing every aspect of their wedding experience from start to finish. Our unique and comprehensive approach to planning means every detail has been carefully considered. 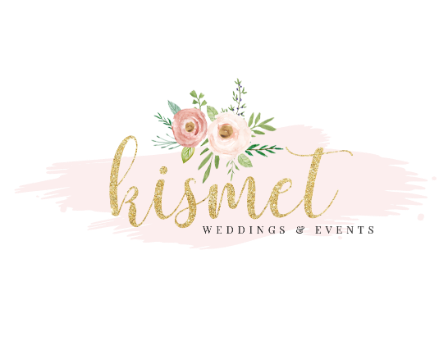 From finding a breathtaking venue, selecting vendors who will execute your individual vision or creating those special touches that will keep your guests talking for months, Kismet will be with you every step of the way. Our partnership will gift you a wedding experience of joy and calm! Our Gold Partial Service Event & Design Planning Package is an ideal option for the couple who have already completed some portions of their planning. This service is designed to allow the couple a hands-on role in their planning activities along with our professional assistance to guide them along the way with ease and excitement. The Silver Month-of-Event Management Package allows you to handle the design and planning on your own terms. A month before your big day, we'll step in and finalize the details and timelines, then oversee the wedding rehearsal and then the wedding day of details. For pricing on your customized and detailed personal package, please complete below to schedule your consultation.